I have a few photos of those Tunisian Tigers around. I'm going with a F-5 Tiger or a Panther II tank from Dragon. Very nice entry Anthony. That's on my list to buy. This will be my entry into this campaign. Nice Dustin,I built that one few years ago,practically falls together,will there be extras added ? I may get an aluminum barrel and AM machine guns. I also would like to get metal track links for this because I plan to model it with no front and side mudguards. So I'd like to be able to see good detail in the tracks. Here's the link to my build,nothing great but something to look at. Anthony, that's a beautiful Jagdtiger! I hope mine looks half as nice! What color did you use for the brown? Hey fellas. We still need to select a ribbon. So far I believe we have 2 votes for ribbon #2 and 1 vote for ribbon #1. Would anybody else like to vote? I would go for #1 or #3 ribbon. 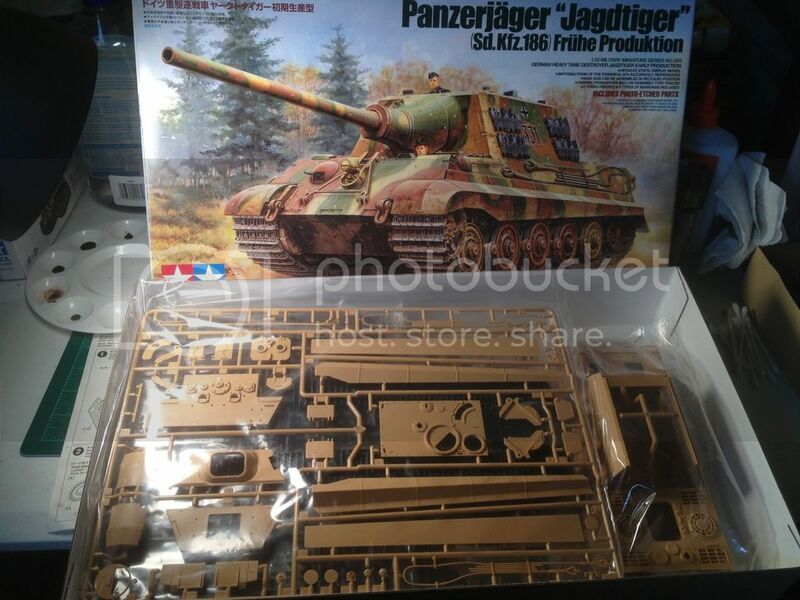 I'm in with a Dragon 1/72 King Tiger that I started for a previous Big Cats campaign. I never finished; got frustrated after I sheared the barrel off. Would anyone have a recommendation for gluing the barrel back on to the mantle? I don't know if I should CA glue and hold it for a few minutes until it sets. Obviously regular model cement didn't work. By the way, I vote for #2 for the ribbon. For the barrel, I would recommend drilling out each side and using a short length of wire to strengthen the joint. Just be carefully to center the holes or you will have a lop-sided barrel! I would use plastic cement if you have a clean join, but CA should work too if you have the wire. Welcome Don. Glad to have you aboard. Looks good Gary! Can't wait to see your work on it! We are 1 month away fellas! Ok, officially enlisted yesterday. Looking at whats currently on my desk I'll go for the HB 1/48 Tomcat with BIG ED upgrade. Will post current state of cockpit in the next few days ready for the official kick off. 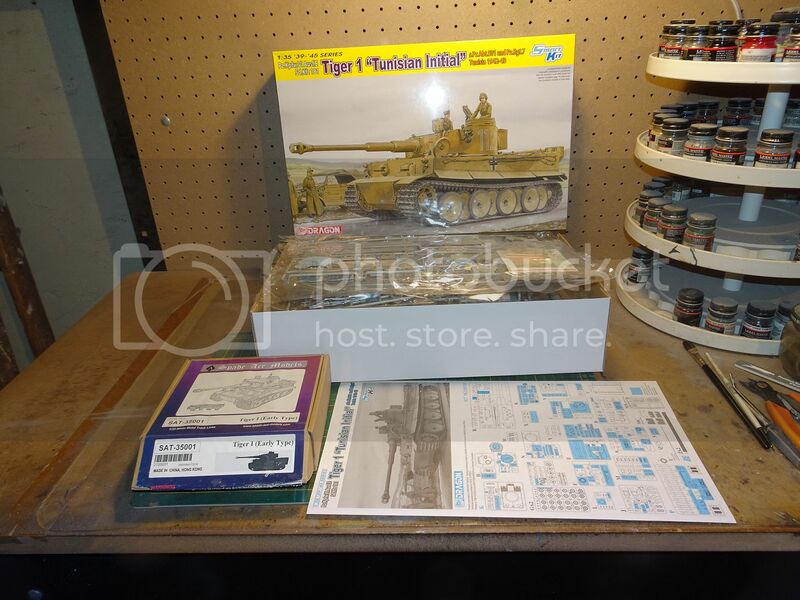 Hey guys, I've been planning on building a king tiger/e-75 mashup for quite a while now and figured this campaign would be a good initiative. Just wanted to run it by to see if crazy what-ifs are alright. Bryan, sounds like a blast! Glad to have ya! Hey guys. Just gonna remind everybody that we are a couple weeks out. Does anybody know how we select our campaign ribbon? Forum Campaign Manager,he's in our campaign here. I picked this up back in 2007 when first released.